WASHINGTON — The average U.S. rate on a 30-year fixed mortgage fell this week to a record low for the seventh time in eight weeks. Cheap mortgages have helped drive a modest recovery in the weak housing market this year. 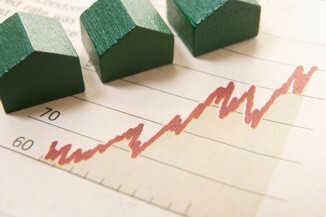 Mortgage buyer Freddie Mac said Thursday that the average on the 30-year loan dropped to 3.66 percent. That’s down from 3.71 percent last week and the lowest since long-term mortgages began in the 1950s. The average rate on the 15-year mortgage, a popular refinancing option, declined to 2.95 percent. That’s down from 2.98 percent last week and just above the record 2.94 percent reached two weeks ago. Low rates could provide some help to the economy if more people refinance. When people refinance at lower rates, they pay less interest on their loans and have more money to spend. Still, the pace of home sales remains well below healthy levels. Sales of previously occupied homes dipped in May to a seasonally adjusted annual rate of 4.55 million, although they are up from the same month last year. The U.S. economy is growing only modestly and job creation slowed sharply in April and May. U.S. employers created only 69,000 jobs in May, the fewest in a year. The average fee for 30-year loans was 0.7 point, unchanged from last week. The fee for 15-year loans was 0.6 point, down from 0.7. 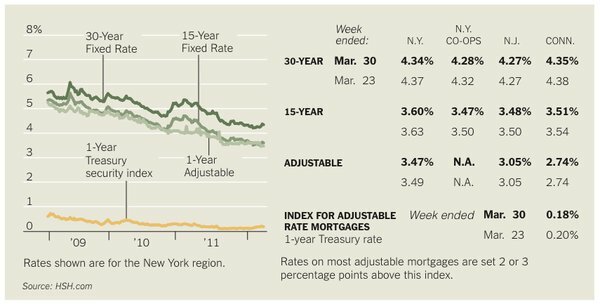 The average rate on one-year adjustable rate mortgages fell to 2.74 percent from 2.78 percent last week. The fee for one-year adjustable rate loans was unchanged at 0.5 point. Home Affordability: How Much House (or Apartment) Can I Handle? In the wake of the housing bust, almost 1 in 4 working families spend more than half their income on housing costs, according to a new study. With prospective buyers finding it harder to qualify for a mortgage and job security remaining a top concern for many families, rental demand has surged in past years, driving up costs. For homebuyers who purchased risky loans with little equity at stake during the boom years, high interest and sliding home values have pushed thousands underwater, with insufficient savings to escape the cycle. Homeowners felt the pinch of diminishing salaries more acutely than renters, dropping to a median of $41,413 in 2010, down from $43,570 in 2008. Working renters, on the other hand, typically make less, with a median income of $30,229 in 2010. Unsurprisingly, the groups that were most at risk of having a severe housing cost burden made less than 80 percent of their area’s median income, whereas wealthier households held steady over the 2-year period. Between 2008 and 2010, affordability has significantly declined in 24 states. The five states with the highest share of households spending more than half their incomes on housing were California (34 percent), Florida (33 percent), New Jersey (32 percent), Hawaii (30 percent) and Nevada (29 percent). With several experts predicting that the $25 billion mortgage settlement with the nation’s largest banks will lead to more foreclosures at the start of 2012, both renters and owners should brace for more price fluctuation in their local markets, at least in the short term. That said, the group most affected by the price confusion are those who bought during the height of the housing bubble, prior to 2008. For those entering the market today, however, sinking prices and near-record low mortgage rates places home affordability at a 20-year high. What if you could buy a house for $25,000 in a neighborhood that wasn’t a battle-scarred slum and rent it out for $750 a month as soon as the ink was dry on the deal? Where are these deals that let you recapture your investment in just three years and from then on enjoy a steady monthly income from the property? If you said Phoenix, Las Vegas or south Florida, you’d be wrong says Paul Habibi, a principal of Habibi Properties and real estate professor at UCLA Anderson School of Management. Here’s a hint to the place Habibi thinks is the hottest investment around. Yep, Habibi is humming “Kansas City” right along with Wilbert Harrison, Fats Domino and the 50 or so other recording artists who covered that tune. As for a real estate investment, Habibi says Kansas City, Mo., is ripe for the picking. Habibi’s approach to real estate deals is not for novice investors, but it is for those who can tolerate some risk and buy into a statistician’s mind. He’s developed a matrix that filters the top 30 MSAs (metropolitan statistical areas) through their projected growth rates (increasing population is good), unemployment (the lower, the better), and whether the city has a diversified job platform (Silicon Valley won’t get his money). He also rejects places where other investors have already scooped up the bargains (forget Florida and Las Vegas). Phoenix, popular with many investors, also fails his litmus test. It was built as a retirement community and lacks a job infrastructure for future growth, he says. And those Texas cities that everyone bandies about — Dallas, Austin, San Antonio — while their prices have remained flat and they seem to have escaped relatively unscathed from the recession, there are so many investors already there that they’re tripping over one another. 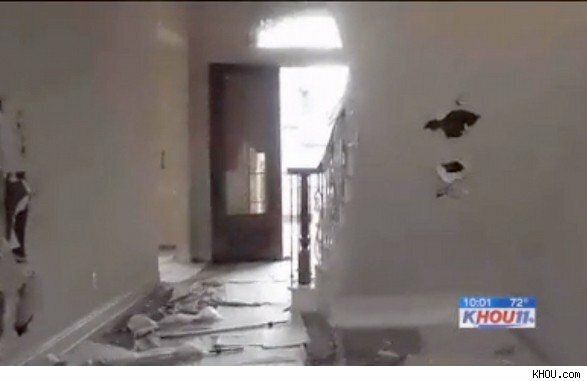 Kansas City is just about perfect, said Habibi, whose company recently concluded its first phase of buying 32 single-family homes there in “C-level” neighborhoods for a price point of $25,000 each, spent $5,000 to $10,000 on repairs and now rents them out for about $750 each. He expects to double or triple his holdings in Kansas City with his second investment fund, for which there is a minimum buy-in of $100,000 for accredited investors to participate. Kansas City’s population grew at a faster-than-national average pace from 2000 to 2010. With an unemployment rate of 8.7 percent, it falls below the national level of unemployment of 9.1 percent. The city has a diversified industry base that includes Sprint Nextel Corporation, Hallmark Cards, the Fort Leavenworth military base, UPS and a Ford assembly plant. Google has selected the city for its ultra high-speed broadband network project. 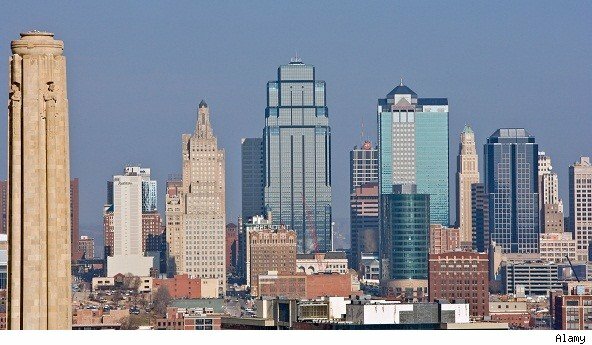 Plus Kansas City has a business-friendly reputation for encouraging retention of companies. Habibi discourages individual investors without much experience or tolerance for risk to try to fly solo. He credits much of his success from having an infrastructure in place — people to scout and inspect the homes, screen for tenants, manage the properties on-site and swiftly deal with eviction issues. 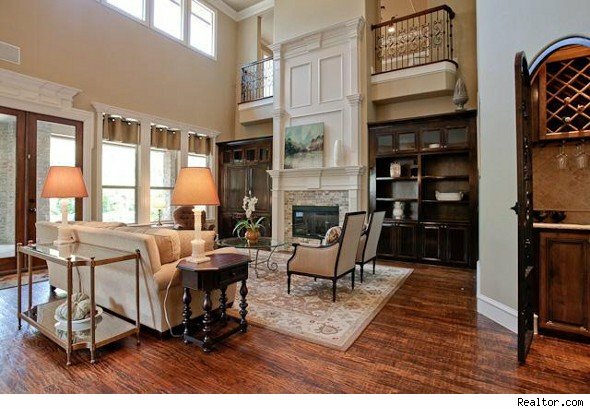 See other homes for sale in the Kansas City area at AOL Real Estate. Upside Down on Your First House? Just Buy a Second One! A Mitt Romney administration plan for a future housing finance system likely shuns any form of a government guarantee, based on the Republican presidential candidate’s choice of Rep. Paul Ryan as a running mate. The Republican congressman from Wisconsin, who heads the House Budget Committee, released a plan that was passed by the House last year to slash spending across nearly every sector of the government, excluding the military. Ryan’s plan has received renewed attention after Romney, the Republicans’ presumptive presidential nominee, announced Saturday that Ryan was his pick for vice president. Democrats are looking to target specifics from the Romney campaign while Republicans are hoping to recharge their base. Romney’s selection of Ryan also gives markets much needed insight into how the former governor of Massachusetts would proceed with a long-anticipated reform of the government-sponsored enterprises. The long-term outlook of the Ryan plan involves a complete wind-down of Fannie Mae and Freddie Mac and an end to their bailouts — which have cost $188 billion so far. Read the rest of this story at HousingWire. Mortgage Principal Reduction on Freddie Mac Loans? 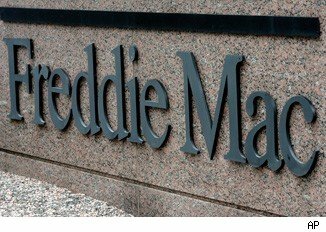 Freddie Mac CEO Charles “Ed” Haldeman gave a strong signal Friday that new incentives from the Treasury Department may be enough to start principal reduction on mortgages backed by the government-sponsored enterprises. 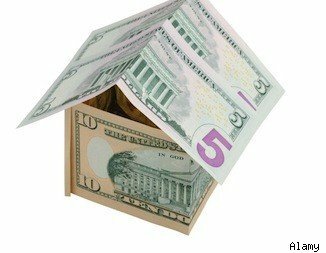 In January, the Treasury said it would triple incentive payments to mortgage investors who allow principal reduction in Home Affordable Modification Program workouts. The payouts ranged between six and 21 cents to the investors for each dollar forgiven under HAMP, but that will grow to between 18 and 63 cents. There are currently 11.1 million borrowers who owe more on their mortgage than the house is worth, according to CoreLogic. Of that, estimates show roughly 3.3 million of those mortgages belong to Fannie and Freddie. The GSEs and their regulator, the Federal Housing Finance Agency, long shunned principal reduction. Their biggest fear is moral hazard — that borrowers who are still current on their underwater loan would strategically default in order to get principal written down. “We thought principal reduction could have unintended, secondary consequences on other borrowers seeking the same kind of reduction,” Haldeman said. One previous analysis showed the GSEs would take significant credit losses if a wide-scale program was put in place. 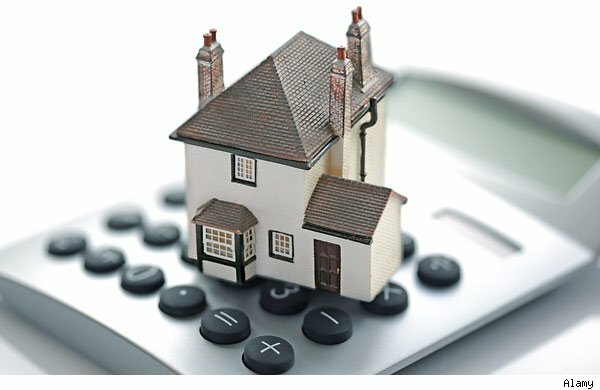 A new analysis from the FHFA, which would cover the new HAMP incentives, is expected to be released in the coming weeks. NPR and ProPublica reported Friday that the analysis will show a reversal, that principal reduction will work for the GSEs under the new version of HAMP. 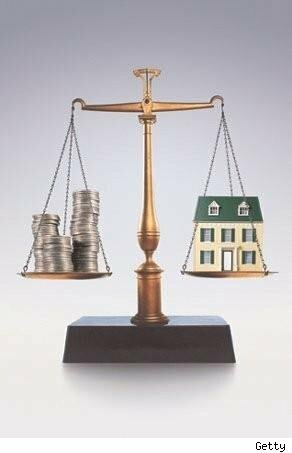 “As we complete the review, the public should understand that Fannie Mae and Freddie Mac continue to offer a broad array of assistance to troubled borrowers and have continued to implement HARP 2.0 to enhance refinancing opportunities for underwater borrowers,” FHFA said in a statement. Treasury Secretary Timothy Geithner told a House panel this week he and FHFA Acting Director Edward DeMarco were working out their differences. Haldeman, who announced in October that he would leave his post at Freddie, said the principal reduction verdict will ultimately reside with DeMarco, but he isn’t operating on his own. “At the end of the day, we are in conservatorship, and he is the conservator. But the way it works on a day-to-day basis is that it’s a very close collaboration. 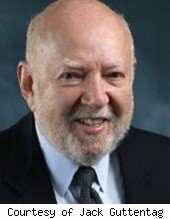 It is extremely rare that I had a different point of view than Ed DeMarco,” Haldeman said. If you’re looking to refinance your mortgage but you also need some extra cash, there may be a few options out there you haven’t considered. Today’s re-fi rates are low, but to get the best deal overall, your best bet may be to refinance your principal loan at the lowest rate you can find and then to apply for a home equity line for the cash. That way, with today’s low home equity rates, you’ll get the best interest rates for both portions of your financing. The other main option is a cash-out refinance, in which the borrower takes additional cash above the loan amount. But that usually means an additional 0.5 percent or more in interest, which can add up to thousands of dollars over the course of a 30-year loan. Instead, simply refinance the balance of your mortgage, and then apply for a home equity line for the rest. Right now, home equity rates are at prime or prime plus 0.5 percent to 1.0 percent, a lot better than almost any other kind of loan out there, including personal loans and credit card debt. Cash-out refinancing is not a real option for homeowners who are underwater and need to borrow more than 80 percent of the value of their home. And while there are 95 percent loan-to-value mortgages out there, you can’t be living in a declining market such as Arizona, California, Florida, Michigan and Nevada. Also, if your credit score is below 680, you’ll need to turn to the FHA for the refinance if you want anything more than a 90 percent loan-to-value mortgage. Generally in today’s market, even if you don’t live in a declining market, you probably won’t be able to get an equity line if it means going above 90 percent loan-to-value. And even that could be difficult, unless you have a credit score over 760. Therefore, home equity lines are a better choice for smaller projects, like making needed repairs on your home. Millions of people put their homes at risk because they used the equity in their homes as a piggy bank and borrowed to levels that are now higher than what their homes are worth. Some have walked away from these homes because the combined mortgage and equity line is higher than what the home’s value is expected to be for 10 or 20 years. But if you need the cash, and it will put you in a better position financially, you’re better off choosing an home equity line than a cash-out refinance. 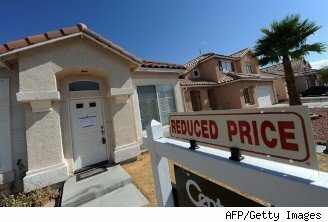 The government’s $25 billion settlement with the nation’s five biggest mortgage servicers over so-called “robo-signing” practices could boost short sales, as loan servicers will receive credit when they approve sales that include forgiveness of a portion of underwater homeowners’ debt. 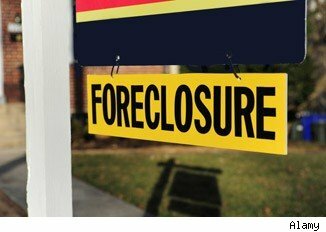 Although the settlement is only expected to help a fraction of homeowners who owe more their properties are worth — perhaps one in 20, according to one estimate — it will also help bring certainty back to housing markets by removing some of the obstacles that have been keeping homes stuck in the foreclosure pipeline. “We will see an increase in short sales, because lenders and loan servicers will get the same credit for doing a short sale, as if they did a loan modification or principal reduction,” said Rick Sharga, executive vice president of Carrington Mortgage Holdings LLC. Allowing debt forgiveness on approved short sales to count against the required $17 billion in principal reductions helped secure a settlement that will reach more borrowers, the paper said. Loan servicers will also get partial credit even when it’s investors, rather than the banks themselves, taking the loss, the Journal said. “We will probably see a short-term increase in forcelosure activity, because the servicers and lenders at last have a sense of certainty about what they can and cant do,” Sharga told Inman News. Part of that increase will also be among loans that don’t meet the criteria of the agreement. For loan servicers to get credit for a principal reduction, a loan must be at least 30 days delinquent, have a pre-modification loan-to-value (LTV) ratio of at least 100 percent, satisfy specified debt-to-income ratios (DTIs), according to ananalysis of the settlement by the lawfirm K&L Gates. At least 85 of occupied properties must have had an outstanding principal balance at or below the highest Fannie Mae and Fanni Freddie conforming loan limit cap as of January 1, 2010. Because servicers won’t get 100 percent credit for all types of relief that are provided, the actual amount of relief provided could total as much as 32 billion, state attorneys general said in announcing the settlement. The settlement doesn’t prevent the government from punishing wrongful securitization conduct that will be the focus of the new Residential Mortgage-Backed Securities Working Group, HUD noted. State and federal authorities can also pursue criminal enforcement actions related to conduct by servicers, including civil rights, fair housing, fair lending and other violations. Short sales, refinancings, and loan modifications are each “pulling REO inventory out of the game,” he said. “You’ve got to keep your eye on that process,” Holleman said.”You can no longer be 80 percent REO,” but must diversify into short sales and property management. Nope. For the 70 million home-owning Americans who don’t have a need to sell their homes at the moment, this is not the end of the world. Yes, they can thank their lucky stars that they still have jobs and didn’t get ensnared in a toxic mortgage. And yes, they can feel for their friends and family who weren’t so fortunate — or, if they are feeling less charitable, weren’t as smart as they. But for the bulk of Americans, this is a problem that, well, doesn’t hit that close to home. Want perspective? Of the 75 million owner-occupied homes in the U.S., about 5 million were sold in the past year, which means that there were tens of millions of home owners who were content to stay put, paying their bills and living obliviously to the drops in home prices. Of those five million sales last year, about one third were distressed sales. Currently, there are 3.87 million homes on the market. In April, distressed homes were 37 percent of sales (24 percent foreclosures and 13 percent short sales). And 7 percent of new listings were foreclosures, but they’ve been entering the pipeline at a steady pace and selling quickly at bargain prices, says the National Association of Realtors. Of course, scary Case-Shiller numbers are nothing new. Since last June, when a yearlong rebound in prices began to sputter out, the index has recorded losses every month. If there’s a bright spot, it’s that in the last quarterly report, all 20 cities tracked showed declines; in the most recent index, two of the 20 actually showed month-over-month improvement. And for the record, the experts back in December offered the same explanations as did the experts commenting on this week’s report: The large number of foreclosures on the market and the expiration of the federal homebuyer tax credit are pushing prices down. I’d throw in an even larger reason that the experts gloss over: Lenders aren’t lending money to even qualified buyers. They have imposed unrealistic standards for those applying for mortgages and then wonder where all the buyers are. Maybe they should look for them under the mountains of paperwork that they keep demanding and misplacing. Seriously, has anyone tried to get so much as a refinance lately? NAR says, albeit more politely than I do, that “the recovery is uneven, held back by unnecessarily tight credit.” The association projects that “if the lending community simply returned to the safe, sound standards that were in place a decade ago (before the lax standards that led to the unprecedented boom-and-bust cycle), home sales would rise 15 to 20 percent over current projections.” Now wouldn’t that be nice? You don’t have to install a pricey or crazy security system to feel safer in your home. Here are some low- and no-cost ways to keep burglars at bay. If you’re sleeping solo these days, take your car’s remote control to bed with you. If you hear suspicious noises, push the remote’s “panic” button and let the alarm scare away intruders. Pretend you’re home watching “Downton Abbey” and deter burglars with FakeTV ($34), a small gizmo that glows and flashes like the flicker of a television set. FakeTV uses the same energy as a nightlight, and has a built-in light sensor and timer, which turns it on at dusk and off when you wish. 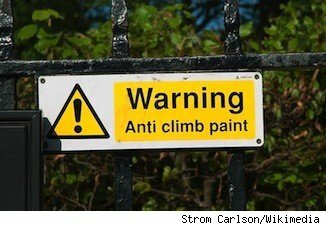 In the U.K., they slather “anti-climb” paint, which never dries, on downspouts, gutters, and anything they don’t want an intruder to shimmy up. It doesn’t seem to be available in the U.S. yet. But it’s a wild idea. Virgin snow is a sure sign that no one’s home. If you’re away after a snowstorm, ask a neighbor’s kid to tromp around your yard, creating footprints that will fool a burglar into thinking you’re around but just haven’t gotten around to shoveling your snow yet. Also, ask a neighbor to occasionally park their car in front of your house, making it look like you’re entertaining visitors. And ask them to remove any fliers that may be wedged into your door or mailbox. Burglars sometimes case a home by planting a flier and checking to see if someone retrieves it. This story was originally published on HouseLogic. NEW YORK — Even though mortgage rates are at historically low levels, it’s the rental market in many areas across the U.S. that is really heating up. 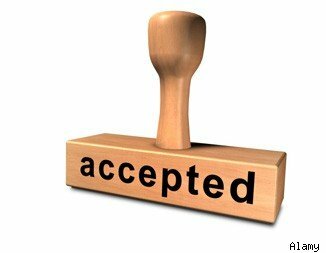 Obtaining a mortgage is undoubtedly a strenuous process on the heels of tightened credit standards. 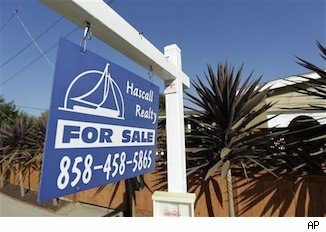 Add to that the fact that many Americans simply can’t afford a new home, the number of Americans still jobless or just getting by — and many consumers are finding it easier, or necessary, to rent, which explains why the average rent nationally is at its highest level since 2007, according to researchers at Reis. Testifying on Capitol Hill in the aftermath of the housing crash, Treasury Secretary Timothy Geithner spoke words that previously might have been considered political suicide: Geithner suggested that homeownership should no longer be considered a singular measure of the American Dream — and maybe every American shouldn’t own a home. Welcome to the post-housing bubble renter’s society. Geithner didn’t mention it, but his words implied that the do-it-yourself projects associated with the American Dream of home ownership should be applicable to the growing ranks of renters across the nation. When renting, it doesn’t make sense to complete a major renovation, like flooring, new windows or a new kitchen. Throughout the duration of your lease, however, there are some easy and inexpensive projects you can do yourself to spruce up your rental. MainStreet asked design pros to weigh in on the top DIY projects for renters. If you’ve ever thought the weak water pressure in your shower has nothing to do with the low-flow showerhead installed by the building to minimize their water bill, think again. Chances are the showerhead in your rental needs to be replaced — whether or not it’s because the landlord installed a low-flow head. You, and your hair, will be very happy if you complete this project, and thankfully, this isn’t a lengthy or costly job. First off, it’s helpful to know the types of showerheads so you can easily narrow your choices when selecting one at a home improvement store. “There are two main categories of showerheads to choose from: fixed or handheld. But within these categories is a wealth of options — from rainshowers to multi-setting versions,” said Andrea Conroy, director of retail marketing at Moen. 1. Unscrew the existing showerhead from the shower arm, using a crescent wrench if necessary. 2. Remove any old thread seal tape and apply new by wrapping the tape around the shower arm threads two to three times. 3. By hand, screw the new showerhead onto the shower arm. Use the wrench to tighten the new showerhead. If installing a handheld version, first screw the handheld bracket to the shower arm and tighten with a wrench. Then, attach the hose and handheld shower to the handheld bracket. Any time you move into a new place, chances are you’ll be painting the kitchen, bedrooms and living room. When choosing what color to paint your rental, there’s a “science” behind different colors. “Blue colors elicit feelings of tranquility and confidence. This is the least appetizing color, so it should not be the main color in a kitchen,” advises Chris Ring, v.p. of ProTect Painters. “Yellow enhances concentration, speeds metabolism, and is perfect for kitchens and bathrooms,” Ring advises. Pink colors are on the tranquilizing end of the color mood scale, making a pink shade an appropriate choice for bedrooms. For this and other painting tips below, do keep in mind that even if you are a Michaelangelo, you may have to repaint the walls to white when you move out, and/or take the risk of a landlord trying to claim part of a security deposit as a result of a custom paint job. 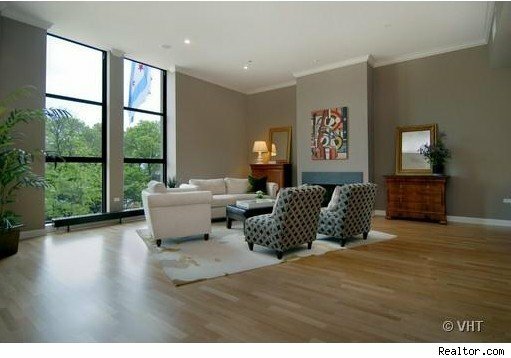 As such, it’s best to ask for a landlord’s approval to paint and agree to terms before undertaking the project. Painting a tiny bathroom makes for a challenge, especially when trying to paint around the sink, mirror and shower. “Before painting, wash all the walls to remove any mildew with mildew remover or bleach and water,” advises Joe Kowalski, training manager at Glidden. For walls, use either a semi-gloss or eggshell finish; both provide dirt and moisture resistance. For the ceiling, paint with an eggshell finish is advised. Paint that includes primer provides extra adhesion over a glossy surface. Whether you’re sidestepping into your small studio rental or fortunate enough to be renting a place with enough closet space, tips for maximizing your rental’s storage space always come in handy. 2. Rub the surface of the sticker with a squeegee to ensure that the decal lays smoothly against the wall. 3. Add a hook onto the decal and apply pressure to ensure damage-free hanging. 4. Wait one hour before hanging hats, jackets, backpacks and other apparel. 1. Use a hand drill to create a hole in the bottom of a metal gelatin mold. 2. Run a pre-wired pendant cord through the hole of the mold. 3. Insert a light bulb into the end of the cord. 4. Affix cords to wall in decorative loops using clear cord clips for damage-free hanging. Read the rest of this story at TheStreet.com. WASHINGTON — President Barack Obama is aiming mortgage relief at members of the military as well as homeowners with government-insured loans, the administration’s latest efforts to address a persistent housing crisis. In his first full news conference of the year Tuesday, Obama was to announce plans to let borrowers with mortgages insured by the Federal Housing Administration refinance at lower rates, saving the average homeowner more than $1,000 a year. Obama also was detailing an agreement with major lenders to compensate service members and veterans who were wrongfully foreclosed upon or denied lower interest rates. A senior administration official described Obama’s proposals to The Associated Press, ahead of the announcement, on the condition of anonymity. The efforts Obama is announcing do not require congressional approval and are limited in comparison with the vast expansion of government assistance to homeowners that he asked Congress to approve last month. That $5 billion to $10 billion plan would make it easier for more borrowers with burdensome mortgages to refinance their loans. Under the housing plans that Obama was to announce Tuesday, FHA-insured borrowers would be able to refinance their loans at half the fee that the FHA currently charges. FHA borrowers who want to refinance now must pay a fee of 1.15 percent of their balance every year. Officials say those fees make refinancing unappealing to many borrowers. The new plan will reduce that charge to 0.55 percent. With mortgage rates at about 4 percent, the administration estimates a typical FHA borrower with $175,000 still owed on a home could reduce monthly payments to $915 a month and save $100 a month more than the borrower would have under current FHA fees. Though 2 million to 3 million borrowers would be eligible, the administration official would not speculate how many would actually seek to benefit from the program. The FHA provides mortgage insurance on loans made by FHA-approved lenders throughout the United States and its territories. The loans typically go to homeowners who do not have enough equity to qualify for standard mortgages. It is the largest insurer of mortgages in the world. For service members and veterans, Obama will announce that major lenders will review foreclosures to determine whether they were done properly. If wrongly foreclosed upon, service members and veterans would be paid their lost equity and also be entitled to an additional $116,785 in compensation. That was a figure reached through an agreement with major lenders by the federal government and 49 state attorneys general. Under the agreement, the lenders also would compensate service members who lost value in their homes when they were forced to sell them due to a military reassignment. 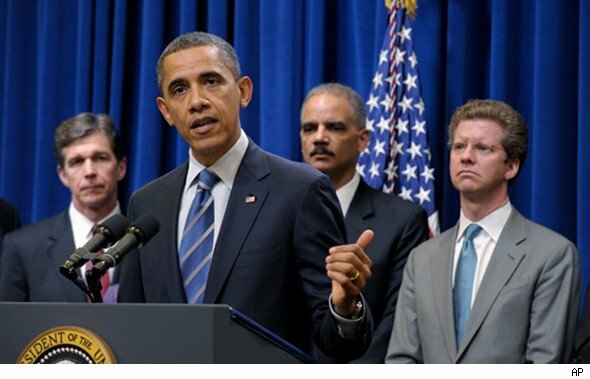 Obama is holding the news conference in the midst of a modestly improving economy. But international challenges as well as a stubbornly depressed housing market remain threats to the current recovery and to his presidency. Obama has not held a full news conference since November. The White House scheduled this one on the same day as the 10-state Super Tuesday Republican presidential nominating contests. While aides insisted the timing was coincidental, it follows a pattern of Obama seeking the limelight when the attention is on the GOP. The news conference comes amid a new sense of optimism at the White House. Obama’s public approval ratings have inched up close to 50 percent. 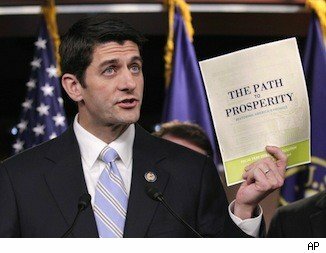 The president recently won an extension of a payroll tax cut that was a main element of his jobs plan for 2012. Economic signals suggest a recovery that is taking hold. Still, he will probably face questions about the pace of the recovery. The unemployment rate in January was 8.3 percent, the highest it has been in an election year since the Great Depression. With rising gasoline prices threatening to slow the economy, Obama has also faced attacks from Republicans over his energy policy. Iran’s nuclear ambitions will also command attention in the aftermath of his meeting Monday with Israeli Prime Minister Benjamin Netanyahu. Tension over Iran has already contributed to higher oil prices, and Israel’s threats of pre-emptive military strikes to prevent Tehran from building a nuclear bomb have dominated Washington discourse for weeks. Other developments in the Middle East, where turmoil has soured some of the promise of last year’s Arab Spring, are also likely to be addressed. Syria’s bloody crackdown on protesters has increased pressure on Obama to intervene. Republican Sen. John McCain on Monday urged the United States to launch airstrikes against Syrian President Bashar Assad’s regime to force him out of power. After years of economic turmoil faced by millions of Americans, a large number of consumers now have new attitudes toward the kinds of financial missteps that can land borrowers in credit trouble, including strategic defaults. A sizable amount of Americans now consider it socially acceptable to have a low credit score or strategically default on their outstanding mortgage balances, according to new data compiled by JZ Analytics as part of a poll for ID Analytics. In all, 36 percent of those polled said they believe it’s acceptable to have a poor credit score these days, accounting for 77 million people across the country if the data is extrapolated out. More interesting, however, is that many consumers have seen their attitudes toward intentionally falling behind on underwater mortgages change drastically in the last few years, the report said. A total of 32 percent of those polled — 68 million people nationwide — say homeowners should be able to strategically default on their mortgages without facing any consequences whatsoever for doing so. Further, 13 percent, or 28 million Americans, say they would likely strategically default, the report said. Another 17 percent, or 36 million residents, say they know people who have already done so. Another area in which consumers have more relaxed attitudes toward certain aspects of their credit rating is whether they would exaggerate their standing to obtain new lines of credit, the report said. In all, 17 percent of those polled said they would do so, making up some 36 million Americans. Finally, another 35 percent of respondents — 75 million Americans in all — said they are now more afraid of being victimized by identity theft than they were five years ago, the report said. Identity theft and account mismanagement can lead to serious damage to a borrower’s credit score, and therefore all financial documents, including credit reports, should be monitored closely as often as possible. 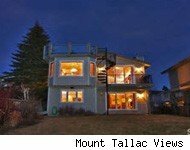 NEW YORK — New data from Zillow.com shows that the housing market really has hit bottom. Cue the applause. Signal the all clear. Get Warren Buffett to pile on and say something encouraging about the U.S. economy. Then head back to reality, and eye the headlines about the housing market’s inevitable recovery with caution, especially if you are a prospective homebuyer. Conditions can vary widely from one neighborhood to the next. The question isn’t ever whether the market has bottomed when it comes to housing — that’s good for journalists and economists and TV pundits, but near-useless, or at least dubious, for those involved in or contemplating real estate transactions. The relevant question is whether the market has bottomed in your neighborhood. Zillow compares home prices from June 2011 to June 2012 in 167 metropolitan areas, with breakdowns by ZIP Code. While the results are encouraging overall, some ZIP Code and metro areas continue to fare poorly. Zillow uses red to show where prices have fallen and green for where they’ve gone up. In addition to the year-over-year maps, there are maps showing price trends in the most recent quarter and month. Using these visual aids, one can see, for example, that a positive trend over the past year has not been reversed in recent months. So how can one make use of the data? By zeroing in on individual ZIP Code, prospective buyers can assess the risk that a home bought today might be worth less in a year or two — a good reason to postpone a purchase. There’s no way of knowing for sure, but if prices have been holding steady or begun to rise, the area is a better bet than if they are continuing to fall. 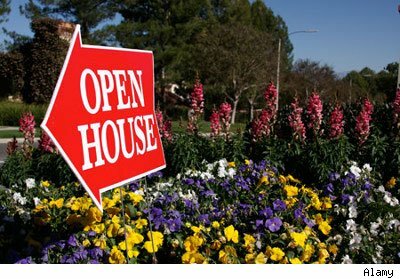 Similarly, signs of an upturn might encourage sellers to get off the sidelines and list their properties. If the market warms, there are likely to be more buyers willing to move quickly before prices rise even more. Of course, a prospective seller who’s not in a hurry might be wise to wait for prices to go even higher. Still, it’s important to keep data in perspective. Like most surveys of this type, Zillow calculates average prices of homes sold in a given area during a given period. If only a small number of homes sell, the results can be skewed by just a few sales with especially high or low prices. Don’t put too much stock into a trend that’s only evident for the past month or quarter, as there may not have been enough sales to guarantee a statistically significant result. So when you read the next headline calling a bottom in the U.S. housing market, it would be best to ignore it as anything other than a way to re-frame the debate and begin the real detailed work of answering the more important question: Does that call apply to your neighborhood? Pay more now for a chance to save much more later? That’s the idea behind paying “points” on a mortgage loan. But it doesn’t necessarily make sense for every homeowner. Mortgage points provide an opportunity for borrowers to lower their monthly mortgage payments by paying a lump sum at a loan’s closing in exchange for a lower mortgage interest rate over the course of a loan. Mortgage points are a smart option for borrowers who plan to stay in the same mortgage and not refinance for a relatively long period of time. But points are not recommended for borrowers who are likely to relocate or refinance in the not-so-distant future. Borrowers pay points in order to lower their mortgage interest rates by a certain amount. The cost of one point is equal to one percent of the mortgage amount. In the case of a 30-year fixed-rate mortgage, paying one point will typically lower your interest rate by somewhere around one eighth of a percent, according to Tim Dwyer, chief executive officer of Entitle Direct, a title insurance company. So if borrower A paid one point on a $200,000 mortgage with what would have been a 4 percent interest rate, she would lower her interest rate to 3.875 percent (4 percent — 1/8th percent) for the cost of $2,000. 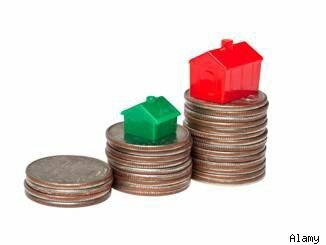 A good way of looking at points is to view them as an investment that “yields a return for the longer you stay in your house,” mortgage expert Jack Guttentag writes. If Borrower A stays in the same mortgage for only a few years before selling her home or refinancing, she may end up not saving enough in monthly payments to justify paying the $2,000 upfront. But if she stays in the mortgage for a longer period of time, she eventually breaks even on her investment and enjoys saving money every month from there on out. “If the points are reasonable, I want to pay that upfront and enjoy the interest rate savings over 10 years because I know I’m not going to refinance,” Dwyer says. But if “you’re a young couple” and “you know you’re going to have more babies, you know you’re going to be moving out,” then you should avoid paying points. Banks may offer 10 or more point combinations on any given loan, Guttentag writes, and borrowers often don’t end up selecting the option that aligns most with their interests, simply out of ignorance. You can use a point calculator to find out how long it would take to break even using different point combinations. In a perfect world, borrowers would pay points only if it benefited them in the long run. But, in fact, many borrowers pay points out of necessity. Why? Lenders will only allow borrowers’ monthly mortgage payments to equal up to a certain percentage of their monthly income. Often they will only approve loans for borrowers whose monthly mortgage payments would not exceed 28 percent of a borrower’s monthly income. Paying points allows a borrower who otherwise wouldn’t qualify for a loan because of income limitations to lower his or her monthly payment to the extent that the bank is willing to make the loan. Some banks offer “negative points,” a rebate paid by lenders toward a borrower’s closing costs. “Negative points” lower closing costs for a mortgage, but raise its monthly interest rate. They can be a good option for borrowers who are hard-pressed to cover closing costs with zero points or who intend on moving or refinancing in a few years. Terrific news! Home equity lending is increasing! OK, maybe it’s not a world-changing event. But an uptick in home equity loans is more evidence that the housing market is strengthening. And it gives another loan option to homeowners who still do have equity despite the plunge in home prices after the financial collapse. Whether a home equity loan is a good idea is, well, open to question. 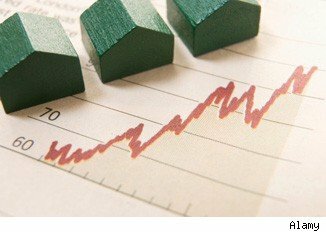 Credit-data firm Equifax reported Monday that in August total balances for home equity installment loans increased for the first time since November 2007. It was just a smidgeon — a rise of 0.3 percent — but any gain is good. Installment loans carry a fixed rate for the life of the loan, like a car loan or fixed-rate mortgage. You borrow a sum and make payments for a number of years. Another type of home equity loan, the home equity line of credit, or HELOC, carries a variable rate that can change monthly and works like a credit card, letting you borrow what you want, up to the credit limit, with monthly payments dependent on your outstanding balance and the current loan rate. Despite the uptick, Equifax said the total number of installment loans is 43 percent below the August 2007 level, at 4.4 million versus 7.7 million. Balances are down 49 percent from their peak in September 2007, at $143 billion compared with $278 billion. And although mortgage rates are at 50-year lows, with the average 30-year fixed-rate loan going for 3.4 percent, installment loan rates are comparatively pricey. According to the BankingMyWay.com survey, the three-year installment loan averages about 5.5 percent, and the 15-year deal nearly 6.7 percent. Like mortgages, the installment loans were crushed in the credit crunch. Fewer homeowners qualified because of financial setbacks such as lost jobs, and many “underwater” homeowners, owing more on their mortgages than their homes were worth, had no equity to support a home equity loan. Also, in a default, the home equity lender is second in line behind the mortgage lender, making it very difficult for the lender to recover what is owed in a foreclosure. Lenders therefore became very conservative about home equity loans. While more homeowners are getting installment loans now, the comparatively high interest rates are an issue. Anyone wishing to borrow a large sum might do better with a cash-out refinancing, getting a new mortgage larger than the balance on the old one, and benefiting from today’s low mortgage rates. An installment loan might be preferable to a mortgage if the loan will be relatively small, because the fees are likely to be much lower. Similarly, one borrowing for a new-vehicle purchase might do better with an auto loan, as they are averaging 4 percent to 4.5 percent, with dealers occasionally going even lower. Keep in mind, though, that for most taxpayers the interest on home equity loans is tax deductible, while interest on auto loans is not. For most people, home-equity loans are cheaper than credit card debt, which, like car loans, is not tax deductible. But the homeowner looking for a financial safety net should also look into a HELOC. Many of those start about 3 percent, though they might charge 5 percent to 6 percent after the first few months, depending on the borrower’s credit rating. That’s a lot cheaper than a credit card, and there typically is little or no startup fee with a HELOC. But because there’s no telling how high the rate could go in the future, the HELOC is best for borrowers who will be able to pay off their balances fairly soon. What Would You Give Up to Buy Your Dream Home? Foreclosure Victims Plan Protests Across U.S.
Victims of the foreclosure mess and housing crisis are taking to the streets — literally. Street demonstrations are being planned in 10 cities, and in the crowd at the first one you are going to see Dixie Mitchell, a 74-year-old cancer survivor who refinanced her paid-off home to help one of the foster kids in her care — and is now losing it in a foreclosure. Mitchell (pictured at left), who along with her 76-year-old husband raised eight biological children and 50 foster children in this house, says that she intends to make her voice heard loud and clear as she marches in front of bank offices in Seattle on Sept. 21. The march is the first in a 10-city rollout of protests organized by The New Bottom Line, a coalition of community groups that challenges big banks’ role in the housing crisis. Mitchell’s story is particularly heart-wrenching: She and her husband were doing just fine living in the house they’ve owned for 44 years until he suffered a stroke that left him paralyzed and cost him his job. 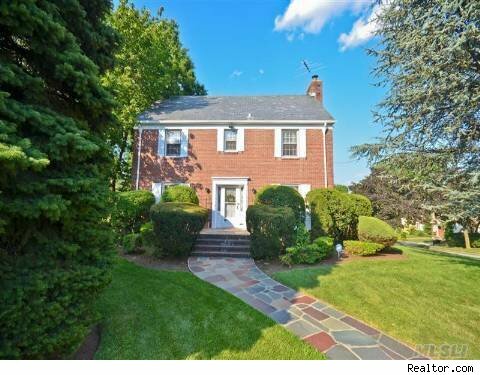 The house was fully paid off in the mid-1980s, but they borrowed against it to make roof and kitchen repairs. 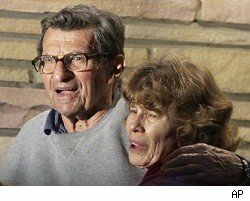 The straw that broke the camel’s back came in 2005, when Mitchell needed to hire a lawyer, at a cost of $20,000, in an effort to keep a 3-year-old boy who had been in her care since he was an infant. She was advised by the bank to refinance her house to get the cash. She took out an adjustable rate loan that would reset in two years, at which point, Mitchell says, the lender told her that she would be able to refinance into another 30-year-fixed rate loan. But the original loan was bundled and sold multiple times to different lenders. It reset to a higher rate right around the time her husband suffered a massive stroke, and she quickly fell behind in her payments. Without his earnings, her monthly income is just $2,200 in Social Security and her monthly mortgage is $2,568. 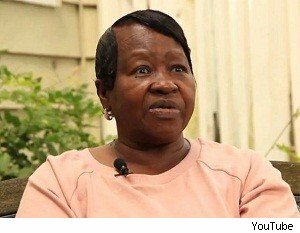 Mitchell filed for bankruptcy, tried getting assistance from every social service agency she could think of, spent two years trying to get a loan modification and even offered to rent out rooms to boarders if the bank would just let her keep her house. “My husband wants to die at home, at our home,” she says. 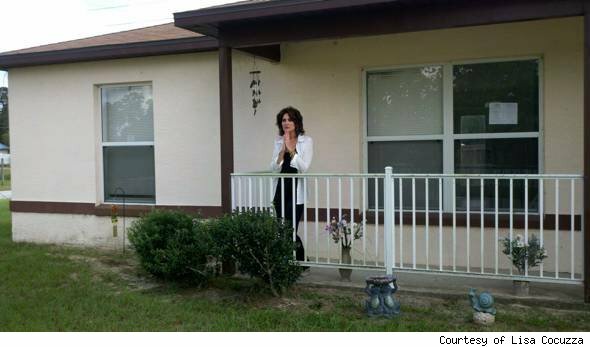 Her home is set to be auctioned on Oct. 28 and she has no place to go. Why is she going to participate in the demonstration? Those are sentiments shared by many. LeeAnn Hall, executive director of Alliance for a Just Society and one of the organizational members of The New Bottom Line, said the Seattle area protests will be staged both in downtown Seattle and at the annual policy summit meeting of the Association of Washington Business, a statewide chamber of commerce. The meeting is being held in Suncadia, a mountain resort near Cle Elum, Wash. The governor is expected to attend the meeting and Hall said that the group hopes to engage her. Subsequent demonstrations are planned across the country in Boston, Chicago, Denver, Los Angeles, New York City, San Francisco and other locations. 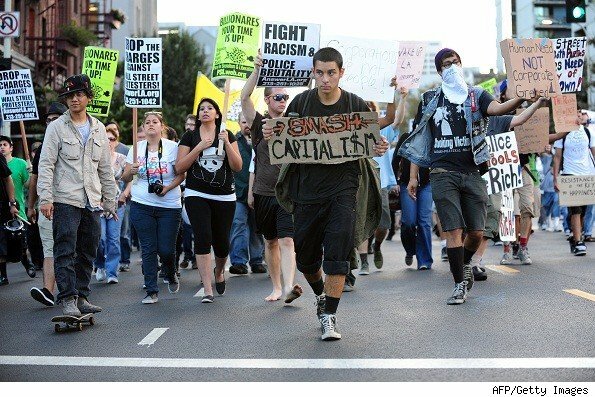 The New Bottom Line said that it is targeting “big banks that bankrupted the country and drained wealth from American families.” The direct actions primarily target JPMorgan Chase, Bank of America and Wells Fargo, and include taking over bank buildings, meetings of corporate officials, civil disobedience, prayer vigils and mass mobilizations. o. Pay their fair share of taxes — their statutorily required 35 percent corporate income tax and not “game” the system through off-shore tax shelters and loopholes. o. Stabilize the housing market and revitalize the economy by reducing principal for all underwater homeowners to current-market value. “This would end the foreclosure crisis, reset the housing market, pump billions of dollars back into the economy and create one million jobs a year,” the group says. o. Invest in American jobs by using their trillions of dollars in cash reserves to invest in small businesses — the main source of jobs in the U.S. — and other job-generating investments. 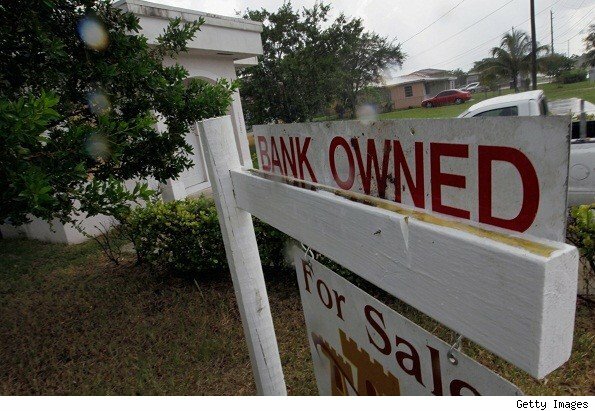 Viewpoint: What’s Behind Banks’ Big Foreclosure Push? 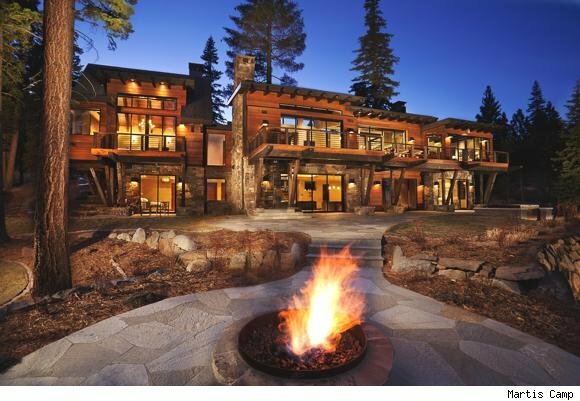 This $6.785 million residence, located in the luxurious Martis Camp community of North Lake Tahoe, Calif., boasts four bedrooms, 5&frac12; baths, and an incredible array of cutting-edge amenities — including a home iPad interface system and hydronic heating throughout the flooring. The master suite, which offers commanding views of majestic arboreal wilderness, includes a fireplace and spa-inspired bath. The lower level features a recreation-media room, complete with a surround-sound system and a bar, as well as a 1,000-bottle wine cellar and an exercise den. Moveable glass walls divide the living room from an outdoor patio and walk-out terrace, which offer extensive outdoor entertaining space including a spa, fire pit, dining area and landscaped lawn. Furnishings throughout are a combination of the rustic and the ultramodern. As if this all weren’t enough, Martis Camp residency offers several extra layers of luxury, including an 18-hole golf course, and a family recreation center with swimming, bowling, basketball, cinema and art. Finally, the community includes 26 miles of private trails for hiking, snowshoeing and cross-country skiing. 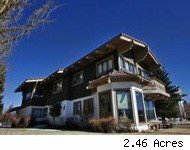 Brian Hull of Martis Camp has the listing. 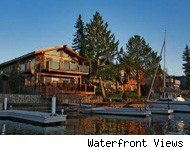 Click on the images below to see more homes for sale near Lake Tahoe, Calif. The so-called “liar loan” mortgages often associated with the toxic subprime loans of the boom years are tiptoeing their way back into the housing market. But, believe it or not, the latest crop of “stated-income” loans may represent a step forward for today’s sluggish market. California based mortgage company Rancho Financial recently began originating loans that do not require applicants to submit pay stubs or tax returns, HousingWire reports. Stated-income loans proliferated during the housing boom, and acquired a stigma and became widely known as “liar loans” after lenders started shedding other requirements from loan applicants, along with pay stubs and tax returns. But Rancho Financial’s loans seem to be a far cry from the toxic mortgages that blew up during the financial crisis. Rancho only lends to well-heeled borrowers, originating loans that currently average about $500,000, the company told HousingWire. Some of the loans are jumbo loans, high-interest mortgages whose amounts exceed the threshold of those that government-sponsored investors such as Fannie Mae, Freddie Mac and the FHA are permitted to back. But just because the government isn’t willing to guarantee jumbo loans, doesn’t mean they’re necessarily subpar. In Rancho’s case, most borrowers must make a 30 percent down payment and have a credit score of at least 740, a two-year history of self-employment, a 12-month reserve and a business license or letter from a certified public accountant, HousingWire reported. 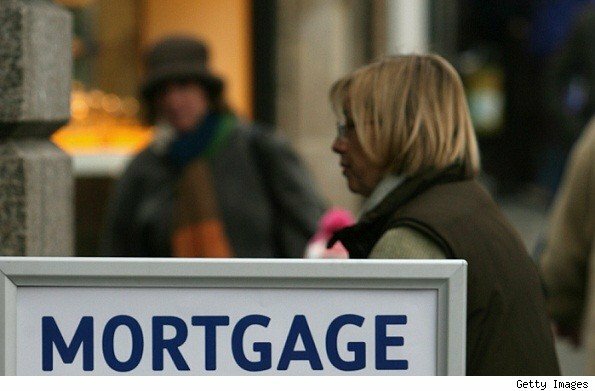 Mortgages of this strain may fill a gaping hole in the real estate market that has lingered ever since the housing meltdown, according to Jack Guttentag, an emeritus professor of finance at the University of Pennsylvania’s Wharton School who offers mortgage advice on his website, mtgprofessor.com. “This is an attempt to deal with a serious void in the market, which is the part of the market that is devoted to self-employed borrowers,” he said, adding that stated-income loans, by not requiring paystubs or tax returns, make it easier for self-employed borrowers to acquire mortgages. And by originating many jumbo loans, they are also satisfying pent-up demand among well-paid entrepreneurs and freelancers, as well as other affluent borrowers who want big loans to buy pricey homes. So why haven’t more companies taken the plunge into stated-income loans already? Experts say that most investors remain haunted by the memory of toxic subprime loans, many of which did not require borrowers to submit pay stubs and tax returns. Rancho’s market play, therefore, marks the arrival of some daring investors. Well, make that one daring investor: Rancho told HousingWire that it sells its loans to a single portfolio investor, whom it would not identify. Rancho declined to provide comment for this story. The city of Los Angeles has sued U.S. Bank, accusing a unit of the fifth-largest U.S. commercial bank of becoming one of its biggest slumlords and blighting the city by allowing hundreds of foreclosed homes to fall into disrepair. Monday’s civil lawsuit by the office of Los Angeles City Attorney Carmen Trutanich alleges that U.S. Bank has taken title to more than 1,500 foreclosed residential properties in the city in its role as trustee for various mortgage-backed securities trusts. It said the bank has ignored repeated demands that it comply with the law, causing hundreds of homes to become uninhabitable or “public nuisances,” and resulting in illegal evictions of hundreds of tenants from the second most-populous U.S. city. Thomas Joyce, a spokesman for Minneapolis-based U.S. Bank, said it is the mortgage servicers, not the trustee, who have the responsibility to maintain foreclosed properties, and that “we intend to bring them into” the lawsuit. Joyce also said the city only recently agreed to detail which homes needed better upkeep, and that the bank will “stand ready” to address property-specific and general foreclosure concerns as it has done in other cities. Other large U.S. cities have also sued over mortgage industry practices that they allege contributed to urban blight. Wells Fargo & Co, the nation’s largest mortgage lender, in May settled a lawsuit by Memphis, Tenn., and on July 12 it settled a similar case involving Baltimore. The Baltimore accord was reached in connection with the San Francisco-based bank’s $175 million settlement with the federal government over allegations that it overcharged black and Hispanic borrowers on mortgages, contributing to higher foreclosures. Wells Fargo was one of five big servicers to join February’s $25 billion U.S. settlement over foreclosure abuses. The National Fair Housing Alliance filed discrimination complaints with the federal government in April against both U.S. Bank and Wells Fargo, accusing them of doing a better job maintaining foreclosed homes in white neighborhoods than in minority neighborhoods. According to the 2010 census, Los Angeles had 1.41 million housing units, of which about 95,000 were vacant. The city’s population was about 3.79 million. 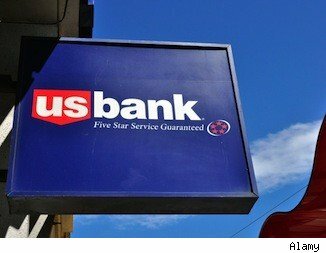 Shares of U.S. Bancorp were down 9 cents at $32.69 in morning trading on the New York Stock Exchange. The case is People v. U.S. Bank NA et al, Superior Court of California, Los Angeles County, No. BC488436. It didn’t take long before the carnage in the hit house-party movie “Project X” spilled onto the real real estate market. “It’s devastating. This is a new home that was ready to sell,” said private investigator Mark Stephens, who was hired by the homebuilder to observe the property. Stephens estimates the home to be worth $500,000. Yet this isn’t the first time the riotous teen flick reportedly has inspired copycat revelry. Another party in Houston turned deadly after an unidentified teen was shot multiple times at an illegal party in another vacant home, ABC News reports. The party, which drew between 500 to 1,000 high school and college-age students, was shut down by police, but the gunman reportedly escaped on foot. In Houston, where both wild parties took place, one in every 689 homes received a foreclosure notice in February — up nearly 10 percent from the previous month. Location: Old Town State Historical Park, San Diego Ave.
Travel back to the 16th century and the glories of the reign of Elizabeth the First. Activities include several of Will Shakespeare’s new plays, battle pageants, music in the streets, jugglers and hundreds of costumed re-enactors performing in this giant outdoor play. There is an admission fee, which covers all entertainment. Festival guests will receive a true cultural experience as they sway with Mexican dancers, peruse the work of local artisans and taste authentic south of the border cuisine. Tune in for a Mariachi Band Battle at one of the two festival stages in addition to the popular Kids Fun Zone. Come join the 30,000 community members who enjoy this celebration of Hispanic culture. 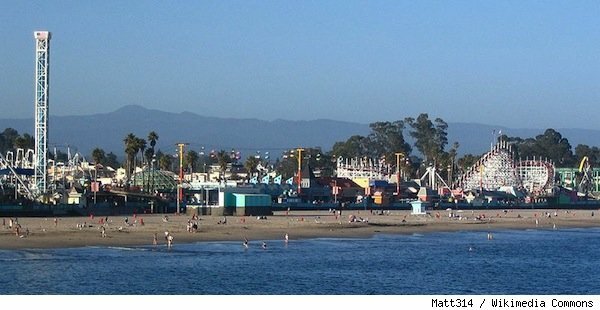 The largest one day fair in California. Features hundreds of exhibitors with a little of everything such as arts and crafts, antiques, clothing, a large variety of food stands serving International foods, and children’s rides. A family event featuring Zydeco and Cajun bands, Blues bands and community musical groups performing on multiple stages. Enjoy Cajun and Creole food, cooking demonstrations, strolling entertainers, dance lessons, and more. Enjoy musical performances, costumed dancing, martial arts, craft-making, merchandise booths, cultural exhibits and cooking demonstration. There will be a food court, picnic area, and a kid’s area. Fundraiser for World Swims Against Malaria. Mothers will “dip” in the ocean wearing their Mother’s Day finest. A five dollar donation is all that is needed for this World Swim Against Malaria. An outdoor live music, action sports, and microbrew festival. Lots of food, merchandise, beach volleyball games, a big ferris wheel, a waterslide, mechanical bull rides and a human hauler contest. Celebrate Armed Forces Day with a delicious BBQ dinner under a shaded canopy while listening to pleasant music. There will be a beer & wine garden, game area for kids, raffles, dancing, plus a fireworks show. Join 300 of your closest friends and family for two days of sports and fun in Encinitas. The City becomes a sports destination the weekend before Memorial Day and you don’t want to miss it. Triathlons, Duathlon, Bike Tours, 5K Run, Kids and Family 1K Walk/Run, Moonlight Beach Paddle & Swim, and a 2-day sports expo. An explosion of arts, culture and entertainment with live entertainment, specialty booths, food court, beer garden, Kid’s Art Beat, and tons more! Location: North Park – University Ave. & 30th St.
A running and walking event across the Coronado Bay Bridge is a rare opportunity, and now is the time to do it! The route begins downtown and proceeds across the bridge to the Coronado Island to Tidelands Park, concluding with fun festivities. Celebrate Sicilian-Italian American heritage and enjoy delicious cuisine from local restaurants in a festive setting in Little Italy. Music, beer, wine, dancing, ethnic art & craft items to browse. Free. This faire will feature live entertainment as well as over 600 booths showcasing arts & crafts, unique clothing, and international foods. Children’s rides, rock climbing wall, and more! Location: Downtown Escondido, Grand Ave. between Center City Pkwy and lvy. Live bands, entertainment, food, arts & crafts, vendor booths, beer garden. In just three years the Santee Street Fair has become one of the best events in town. Over 300 food and vendor booths, 3 stages of live music and entertainment, and fun rides. A cultural food festival at Balboa Park will be offering a delicious assortment of ethnic foods along with entertaining costumed performances. Free. Strawberries will be the main event along with a 5K Fun Run and Kids Runs, as well as 200+ vendors at our street fair, carnival rides, a Strawberry Pie Eating contest, Strawberry Idol, Ms. Strawberry Shortcake, and much more! Free admission. Xeriscaping, or waterless landscaping (or smart-scaping or native-plant landscaping — whew! ), is a great way to save time and money on maintenance for your lawn. By using native plant species and paying close attention to sun exposure, you will rarely have to water your lawn yourself. 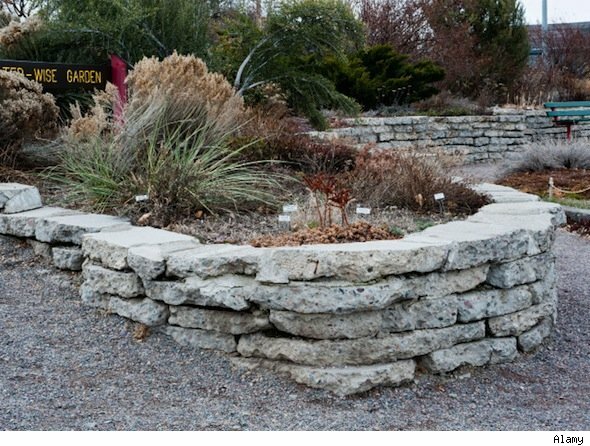 A well-made xeriscape does the work for you. Creating a habitat using native plants can be livable and enjoyable. Grasses, trees and bushes alien to your natural climate tend to be your landscape’s biggest water-suckers. By planting a native habitat in your yard, you will conserve water, create an eco-friendly space and perhaps find yourself living side-by-side with the beauty inherent to the land on which you live. Here are six steps to get you started on creating a native, easy-to-maintain and beautiful lawn with xeriscaping. 1. Seek out plant species native to the area. Local nurseries and landscape architects are great resources when deciding what to plant in your yard. 2. Look for natural drainage patterns. This will help you to avoid erosion as well as help you highlight visually interesting valleys, crests and plateaus in your landscape. 3. Pay attention to sun patterns. Take note of which areas get the most sun and will subsequently require more water or more drought-resistant species of plants. 4. Use well-aerated soil. It’s high in organic materials through added compost and conserves water. Many plant species (other than most cacti) will appreciate a wet, dense soil. 5. Consider alternatives to grass and turf. Use stones, brick, mulch, sand or native grasses in place of turf. You will find that it needs far less water and maintenance. 6. Learn how to properly irrigate. By replacing crude hoses and sprinkler systems with modern irrigation methods, such as drip irrigation (which limits waste by dripping small amounts of water directly to each plant), a yard can thrive with limited or zero water-waste. While picking up some prescriptions recently, my local pharmacist, who knows I write about home construction, asked me if I had any suggestions for how he should build his new house. Since I’m a big advocate for prefab, I suggested that he consider building his house modular. His response shocked me: “I wouldn’t want to build modular — it would upset my neighbors and bring down the neighborhood.” I thought that type of thinking about prefab was ancient history, but his response was clear evidence that it is not. After having written several books on the subject — filled with evidence of the beauty and diversity of prefab — I thought we had moved past the bias that prefab is synonymous with double-wides. Prefabricated construction includes all types of buildings that are either partially or completely built in a factory. Modular construction is one of the most common types of prefab. Large boxes are built in a factory and then taken by flatbed truck to a site and lifted with a crane into place. A house can be built with one box or 36 boxes. Another common type of prefab is panelized construction. Large exterior wall sections of the house are built in the factory and put together on site like a jigsaw puzzle. A similar method is building with structural insulated panels, known as SIPs, which are like sandwiches of oriented strand board, or OSB, fused together with insulation in between. Other types of prefab include concrete panels, prefabricated timber frames and even some log cabins. The savings varies with prefab, depending on the size of the house, location and type of construction. With all that I’ve learned over the years, I would never consider building a house on-site. The feedback that I get from my readers, when they have acquired some knowledge of prefab, is that they’ve become believers — and wouldn’t consider the on-site option either. My preference for prefab comes from years of investigating the best ways to build a house. As an environmentalist, there are many reasons to prefer prefab. Much of the on-site construction debris goes into a dumpster — the homeowner is paying for the debris, dumper and tipping charges. In a factory, wood cutoffs are sorted and used for other houses. Many of the cutoffs from materials, such as drywall and metal, are returned to the manufacturer for recycling. Materials are shipped in bulk to the factories, so they cost less and shipping charges are reduced. Prefab houses are built in an environment where the wood is protected from the elements and has less chance of developing mold and rot. And it and won’t twist and buckle, creating thermal bridges where air will infiltrate. Furthermore, prefab houses are built by professionals under the watchful eyes of supervisors who are checking the work all along the process. These advantages are all in addition to the shorter construction time and financial savings associated with building prefab. Several years ago the Structural Building Components Industry compared the construction of a site-built house to a panelized one in a study called “Framing the American Dream.” The panelized house took substantially fewer hours to build, used less lumber, created far less scrap and cost 16 percent less in labor and materials. Another study from a coalition of Philadelphia building experts, titled “Going Mod,” found a $32 savings per square foot using modular rather than site-built construction. Over the years that I have been writing books on prefab, I have became more and more conscious of the importance of building houses with healthier environments and increased energy efficiency. Heating and cooling houses currently accounts for about 40 percent of the energy used in this country. With the environmental and political ramifications of acquiring energy from fossil fuel, I thought there must be a way to build houses that require less. I have also been influenced by the recent power outages in the Northeast. Twice in the last six months, it took Connecticut Light and Power almost a week to restore power to my neighborhood. I began to consider how wonderful it would have been to be somewhat independent of the grid (the power utility) and be able to sustain at least some of the energy in our house during those outages. Through my research I’ve found numerous ways of limiting the need for energy in the home and several ways to create energy without the need for fossil fuel. These options would make the house more comfortable and save on energy costs. According to a report last week by McGraw-Hill Construction, the green housing market is growing rapidly, having tripled since 2008. Green homes, which comprised 17 percent of new residential construction last year, are expected to increase by 29 percent to 38 percent of the market by 2016. About a year ago I decided to write a book profiling prefabricated houses that require minimal energy. I thought it would probably be difficult to find enough of these houses in this country. To my delight, I found more than I could possibly include in one book. 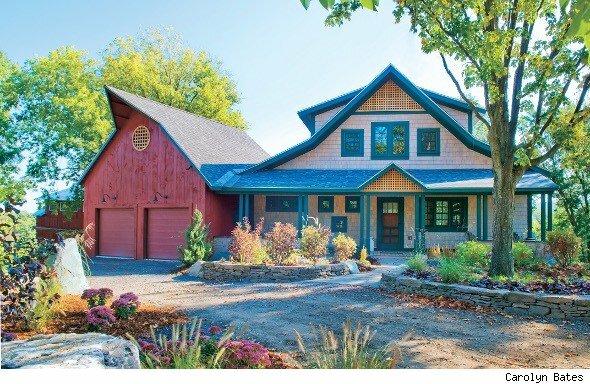 I hope you will send in your questions and follow this blog to learn more about the advantages of prefab and environmentally friendly and energy efficient home construction. Sheri Koones is an award-winning author of five books on home construction, with the last several focusing on prefabricated construction. Her most recent book is “Prefabulous + Sustainable.” Her latest work, “Prefabulous + Almost Off the Grid,” will be released in October 2012 by Abrams. 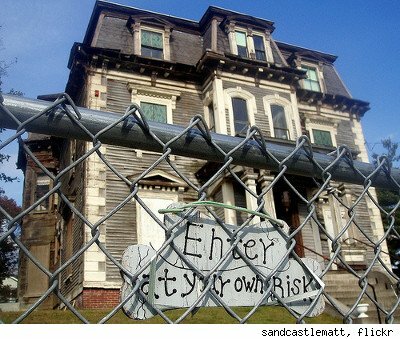 What would you do if the vacant foreclosure next door was falling into disrepair and threatening your own home’s value? If you’re like Homosassa, Fla., resident Lisa Cocuzza, you’d try to buy it and fix it up. That was Cocuzza’s plan five years ago when a for-sale sign went up at a vacant foreclosure across the street. Worried that the property would continue to deteriorate and soon blight her neighborhood, she offered to pay its full asking price of $69,000. But three days before the deal was to close, she said, it fell through because of problem involving the lenders who owned the home. This seems to be a typical story line for homeowners across the country — many of whom are growing so desperate to preserve their neighborhoods that they’re willing to buy the foreclosure next door — only to fail. The foreclosures then tend to continue to sit empty and chip away at the surrounding homes’ values. An estimated 1.5 million homes in the U.S. are bank-owned or in some stage of foreclosure, according to online foreclosure marketplace RealtyTrac. But the complications of buying one can make them difficult, even impossible, for an average homebuyer to purchase. In Cocuzza’s case, there was more than one mortgage on the foreclosed home that she was trying to buy. A second financial institution had a $14,000 lien, or claim, on the home, which meant that this unpaid debt would have to be tacked onto the $69,000 asking price. This didn’t come to light until Cocuzza was about to close on her purchase. That’s when she found out she’d have to pay $83,000 for the home — an amount she couldn’t afford, she said. 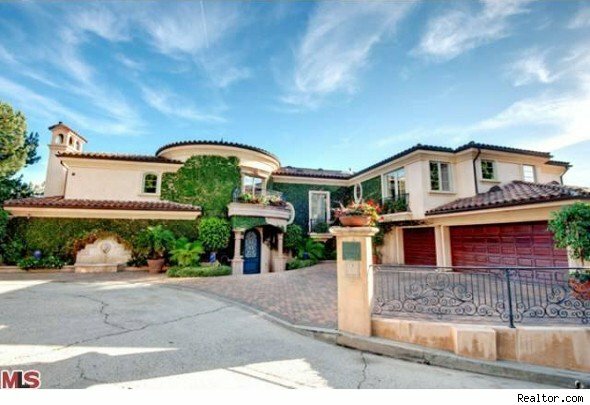 Ever since that deal fell through five years ago, Cocuzza said, the home has remained vacant and hasn’t been re-listed for sale. She’s continued to do what she can to keep the property from total disarray, she said. She clips bushes, pulls weeds and has hung a bird feeder and wind chimes. Other homeowners who have tried to buy foreclosures in their neighborhoods have faced other costly surprises. 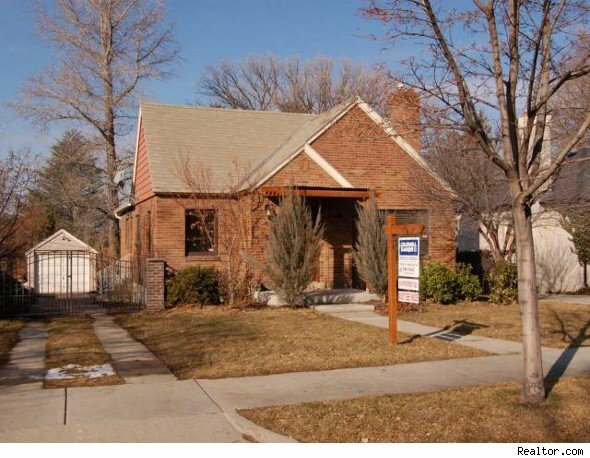 A homebuyer in Taylorsville, Utah, lost the chance to buy a dilapidated foreclosure in his neighborhood because the bank wouldn’t negotiate on needed repairs, said Darnell DeBrule, an employee at Deseret First Credit Union of Salt Lake City. The buyer was DeBrule’s client. DeBrule said the buyer “feared an investor would purchase the property as-is and have little-to-no concern regarding its effect on the neighborhood as a whole,” so the buyer offered to pay the full asking price for the foreclosure, as well as an inspection. That’s when things went south. The inspection found the home to be badly contaminated with hazardous chemicals used to make the street drug, methamphetamine. When the buyer suggested splitting the cost of rehabilitating the home, the bank shut down the deal, DeBrule said. The bank said it was “not putting in a dime” and now would only accept a cash offer, DeBrule recalled. That meant the buyer, who was planning on taking out a mortgage to buy the home, could no longer afford it. And it left the door open for a cash-rich investor to swoop in and snap it up. Banks mostly prefer offers from investors anyway, said Marty Boardman, chief financial officer of Rising Sun Capital Group, a home investor based in Nevada. That’s because they have deeper pockets and are more capable of paying in cash — and cash deals, which carry fewer contingencies, are more likely to close, he said. Their competitive advantage can be frustrating to homeowners like DeBrule’s client, since “investors don’t necessarily care about neighborhood vitality,” said Douglas Robinson, a spokesman for NeighborWorks America, which rehabs foreclosures and sells or rents them to low-income Americans. Along with stiff competition from investors, those who want to buy foreclosures in their neighborhoods sometimes encounter another — surprising — hurdle: just finding a home’s true owner. Mark Hankins, of Land O’ Lakes, Fla., wanted to create a neighborhood trust to buy a nearby home that’s languished in foreclosure purgatory for two years, but public records on it proved a dead end, he said. Six financial institutions have been involved in foreclosure proceedings on the property since JPMorgan Chase initiated foreclosure on it in 2009, the records show, and the law firm that manages the trust in possession of the home no longer exists. And you’d think that if anybody could find the owner, Hankins could. He’s a foreclosure attorney who wrote a book about how to cope with debt. In the success story of Lori Hiscock, though, it’s easy to see why some homeowners like Hankins would like to take foreclosures under their wings. Hiscock bought a foreclosure around the corner from her home in Granger, Ind. The home had begun to show signs of decay more than a year ago, and someone had “put a black Christmas tree on the front porch and wrote ‘bah humbug,’ ” Hiscock said. 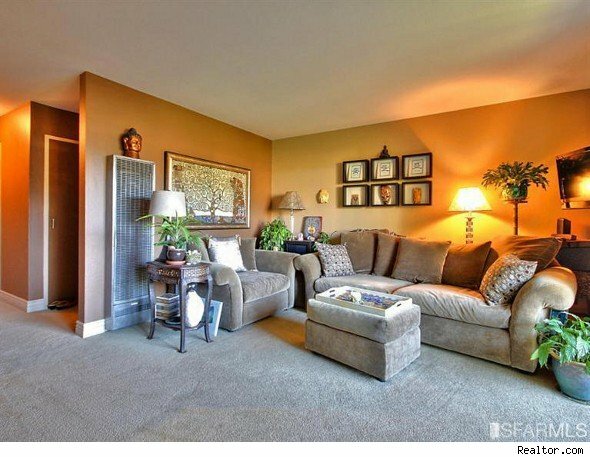 Though Hiscock doesn’t consider herself an investor, she bought the home in cash in June and spent $15,000 to rehab it. Neighbors were worried about the home being rented out after it sold, Hiscock said. But they warmed to the idea once they realized the owner lived nearby. “We love the neighborhood, and we love the home, and we got to pick our new neighbors,” Hiscock said. The entire neighborhood may benefit from Hiscock’s move. 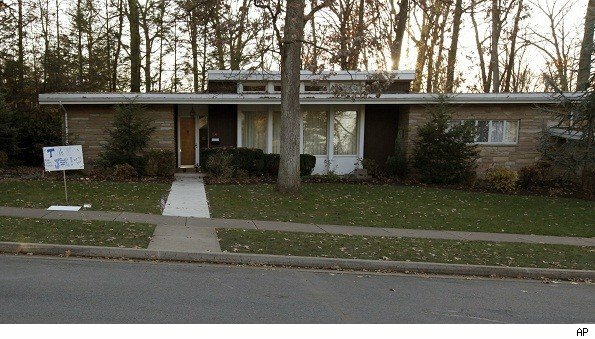 In one broad stroke, she removed an eyesore, fought off blight that threatened the home and propped up home values. It also didn’t hurt that Hiscock was a savvy and desirable buyer: She works as a loan officer, and she had the money to buy the home without a mortgage.